"Karen, years of chronic upper back and shoulder pain were addressed in an instant. You palpated, then needled and twisted. I lost my breath for a moment then realized I had also lost my pain. I walked out of the session pain-free and positively buoyant. Energy was flowing effectively and movement was efficient." "Having assisted Karen in the clinic, I witnessed her ability to relieve and cure her patients' ailments, at times in just one session! Her warm and caring nature enhances her Acupuncture talents, making her a unique asset to the healing profession!" "Karen, I have had acupuncture treatments from many acupuncturists, but your Qi is the strongest of anyone who has ever needled me. You really got it going on!" "In July 2013, I contracted entamoeba hystolitica from airplane food. I was a fit, strong NYC real estate broker who went to the gym, yoga or pilates most days and ate a healthy organic diet, weighing 144lbs. By November 1st 2013, I was 106 lbs, could not stand for any extended time, walked painfully and extremely slowly, was winded, lost my appetite, threw up regularly, had chronic explosive diarrea for (1.5 years! ), hemorrhoids, swollen painful joints, disfigured hands, swollen ankles, feet and calves, skin sores and lesions, a fistula, intense exhaustion, brain fog, nausea, incredibly painful internal organs, distended tummy, bloody stools and urine, constant pain, hair loss, discolored and distorted nails, and weakness. I was diagnosied with Crohn's disease, flukes, and several other microbes.﻿ I was a mess! I saw many doctors and several other acupuncturists, but no one was able to pin down the whole picture or knew how to heal me, until I met Karen. I religiously followed her instructions for the Gu Protocol (for chronic infections) that included dietary restrictions and organic herbal formulas and acupuncture treatments. She resolved my multiple chronic infections!" Click HERE to see what Oprah & Dr. Oz have to say about acupuncture in general. Click HERE to see Oprah and one of her guests getting acupuncture treatment on her show. Click HERE to read about Daphne Oz's deeper exploration of acupuncture. Would it surprise you to learn that all branches of the United States military use acupuncture in their forward field hospitals, and in their Special Forces units? Well, it's true! 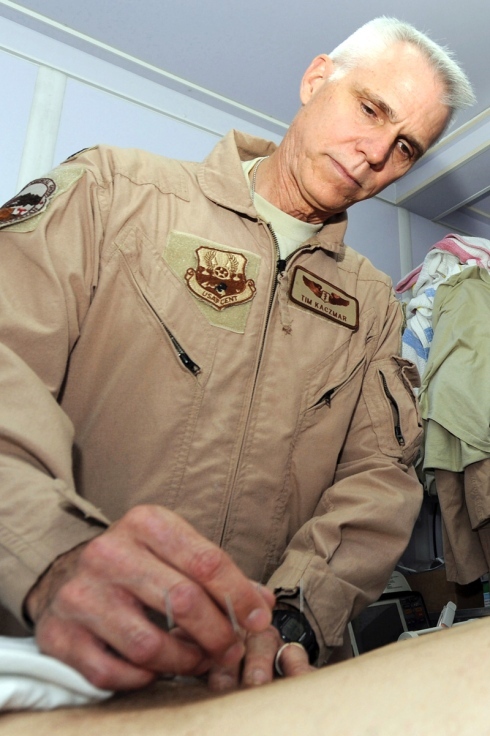 Click HERE to read an article from Stars & Stripes. Did you know . 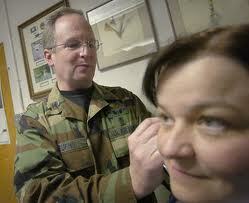 . . that the U.S. military is the biggest researcher into acupuncture of any institution in the United States? One of the places to read about it is found here.